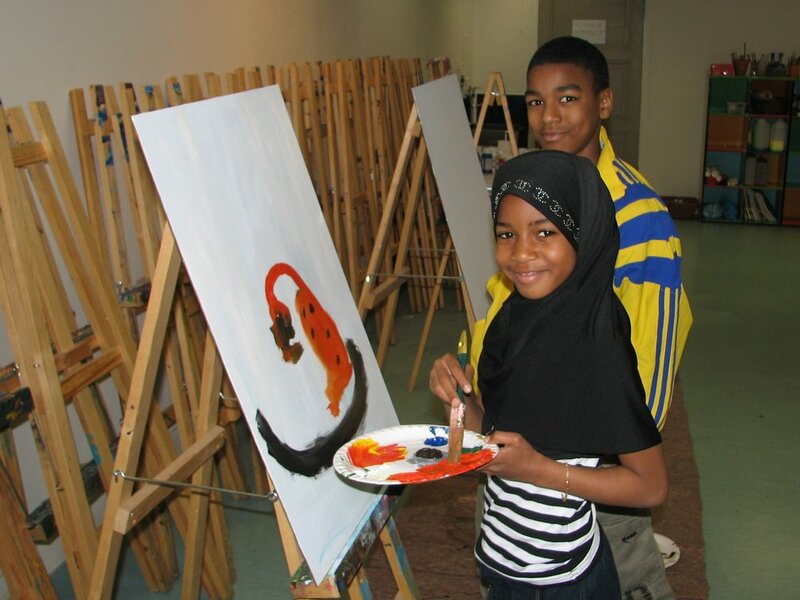 Peacepainting is an independent foundation that runs painting workshops for children, youth and adults in various environments, including war and disaster zones. Since 2007, we have had almost 3,000 participants from countries in many parts of the world. People come together in groups and paint in a common platform of colours, equality and peace among people and nations. Inner peace is the harmony, balance and contentment, more than merely the absence of war. We believe that all of us needs inner peace in their lives in order to flourish. Creative education strengthens self-awareness and the capacity to deal with difficulties. We feel that helping distressed children, youth and adults to articulate their dreams and longings is meaningful work. By painting large, expressive paintings they can process the challenging events in life. Through this process they can learn that there are often multiple ways to solve one problem. The paintings created at the workshops are exhibited in places where decision-makers both wander and gather. 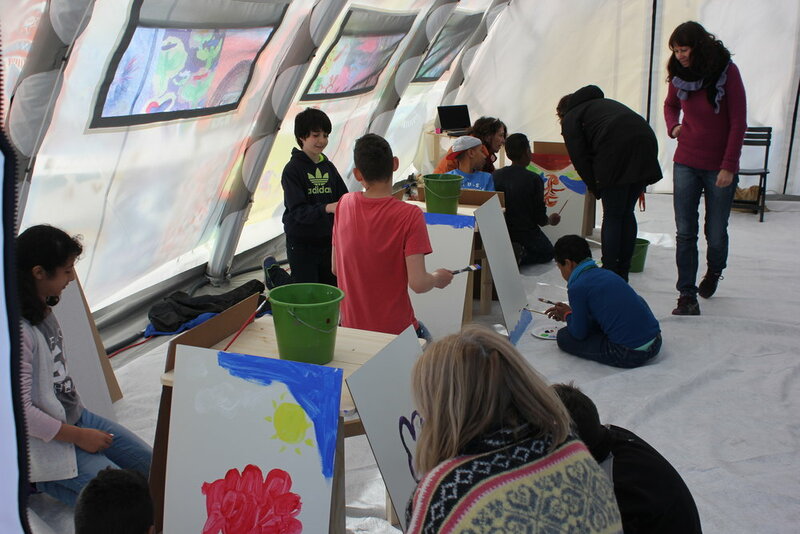 Through the exhibitions, we want the participants’ messages to encourage and influence action—to improve the conditions under which people grow up and live. At the same time we want our participants to know that they can reach out and that they will be heard. The knowledge of being respected and listened to is very important to the integrity of both children and adults. By joining the workshop and seeing the results of the exhibition, our participants are empowered by the feeling that their voices matter. Each Peacepainting workshop begins with a conversation about values and human needs. Participants get the space to think and express what matters the most to them in a conversation about colours, peace and humanity. After the inspiration session they can begin to work on the painting. When the participants have completed the painting we talk about writing a title and a short text that goes with the painting and expresses their message. This text accompanies the painting at the exhibition and plays an important role in the process, both for the author and the viewer. We use colours to explain that there is beauty in variety, each colour has a meaning, an energy. We ask our participants to explain what they may associate with the colours, what emotions and values each colour brings to mind. At the same time we talk about how the colours can be used to express oneself. We want to convey the message that all the colours are important, both in a practical way when making art and in a symbolic way when talking about equality. Gathered around the inspiration table we talk about peace. We discuss what peace means to each and every one of us. We want to inspire our participants, but the most important help we can give is to listen. Our words should only assist the participants in expressing their message. 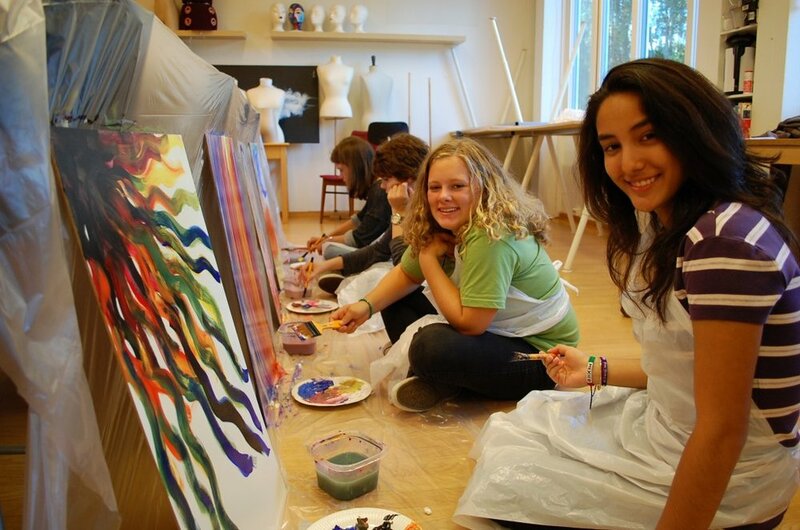 It is important that each participant is given the freedom that allows them to go deep into the painting process. One of our main goals is to let everyone feel that their opinion is valued and their voice heard. When the workshop is finished each participant can decide whether they want to keep their work or share it with the audience. The donated paintings are used to create an exhibition. Often the participants create two paintings. then they can decide which one they want to keep and which one will be exhibited. If everyone decides to paint only one painting, we arrange a short exhibition where the works can dry properly and be viewed and discussed at the same time. At the end of each workshop we gather and talk about gratitude. We talk about other people in various parts of the world that have taken part in Peacepainting Projects, sharing our own unique messages about peace and equality. We are grateful that many children, youth and adults from around the world have helped to carry on the work for a more peaceful world—a place where we can look at each other with kindness.